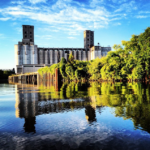 Erin Morris Photography exhibition “Grain Elevators” is on view at (716) GAL-LERY, May 1 – July 31, 2016. The (716) GAL-LERY is a repurposed 1950’s era telephone booth, now Buffalo’s smallest art gallery located inside the Hydraulic Hearth Restaurant & Brewery. 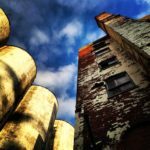 As a photographer, and a native of Western New York, Erin is drawn to many things… the history and architecture of the city of Buffalo in particular… the grain silos of Buffalo specifically. 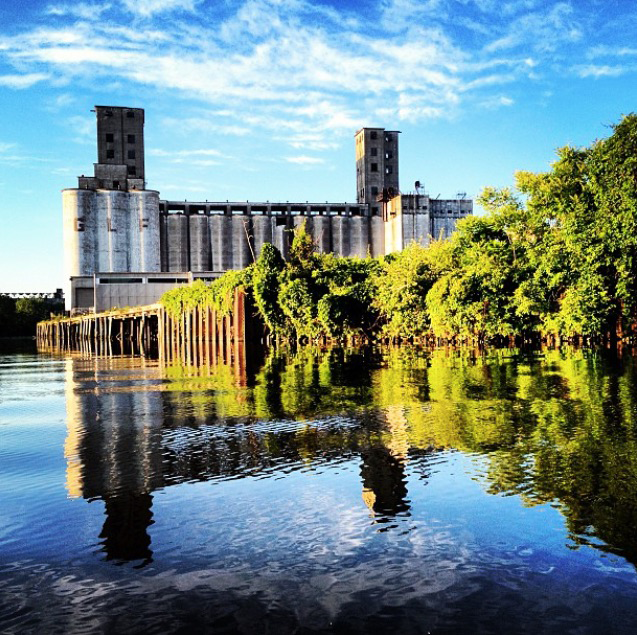 Her body of work explores the grain silos on Buffalo’s waterfront – from the gentle giants themselves, to the minutiae that reflects their storied past. Her photos work to capture the beauty contained in what was once an incredibly influential time in Buffalo’s history. Take a look and listen in! 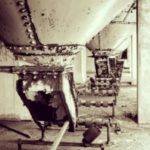 Pick up the phone receiver to learn about the history of the grain silos – their rise, decline, and how they are being repurposed today. A special thank you to Explore Buffalo (ExploreBuffalo.org) and BuffaloHistoryWorks.com for providing the historical information included in the video, and to Valerie Bello (Twitter: @ValerieBello) for her audio recording contribution. Repurpose your own grain silo! Grab a ‘Grain Silos of Buffalo’ coloring page from the folder on the outside of this phone booth and create your very own grain silo. The Gift Shop ( aka sticker machine) has been specially stocked with stickers featuring images from this exhibit. 2 quarters gets you some stickers and a tattoo! All works displayed here are for sale, take some art home with you today!